Brought to you by The Golf Yogi, this video is a comprehensive at home workout that can be done in sections or in its entirety. It will teach you how to properly loosen and lengthen the golf muscles. This is one tool that you can use to improve your game even when you aren’t on the course. 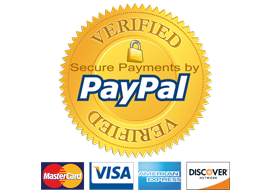 Once you have purchased the video through Paypal, you will be automatically directed to a secure webpage with a login and password. Once purchased, the video can be conveniently accessed at any time. This is not a DVD. Once purchased through PayPal, you will receive a confirmation email from PayPal with a special access login code and a link to instantly watch the Instructional Golf Yogi Video. Don’t waste anymore time or money doing workouts that leave you wondering if they are actually helping your game! The Golf Yogi’s sessions are specifically tailored to fit each individual’s needs to improve flexibility, balance and body awareness. Improving your golf game is The Golf Yogi’s only goal. Ever wonder why the things that you work on with your golf instructor are so hard to keep doing? The simple answer: If the body isn’t changing along with the golf swing, the swing is incapable of long term changes. You will constantly be falling back into old habits. Improving strength and flexibility is THE ONLY way to actually change your golf swing for the better. 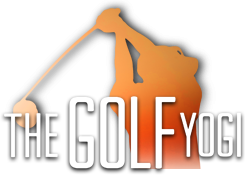 © Copyright 2012 THE GOLF YOGI. All Rights Reserved.